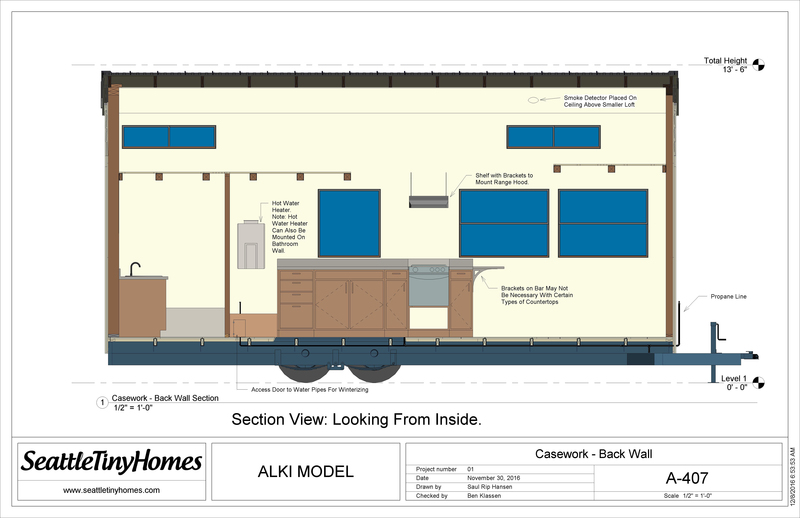 Build your tiny house with the most comprehensive construction plans available today. 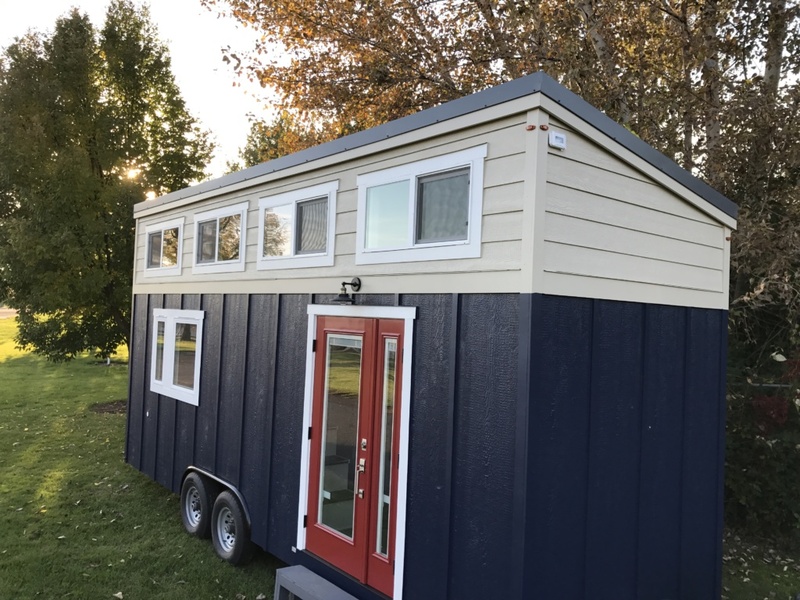 Seattle Tiny Homes is now offering building plans for our most popular Alki model, a moveable micro home. 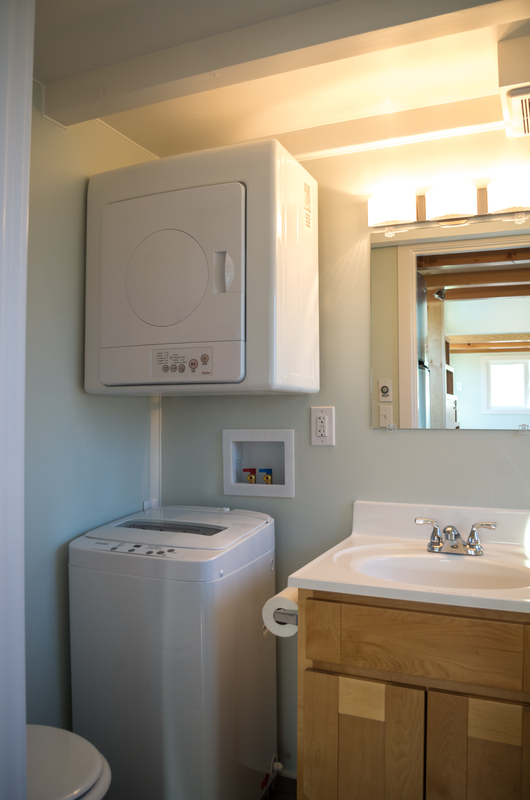 See your dream become reality as you follow intricately detailed documents that take the guesswork out of installing your home’s most complicated systems (like electrical, plumbing, propane, and HVAC). 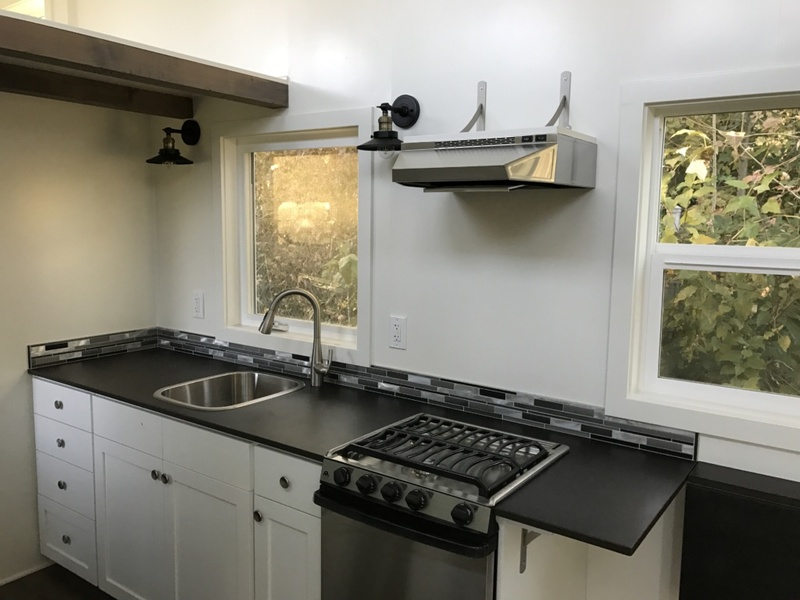 Few things are more satisfying than building your own tiny home, and these plans give you the best possible opportunity to succeed. Launch Special – FREE Shipping and Special Discount! To celebrate the launch of our new plans, we’re offering FREE standard shipping on all plans to anywhere in the world and $200 off our complete set of Alki plans. Buy your plans now – the launch special has been extended. See why this is the perfect tiny house. 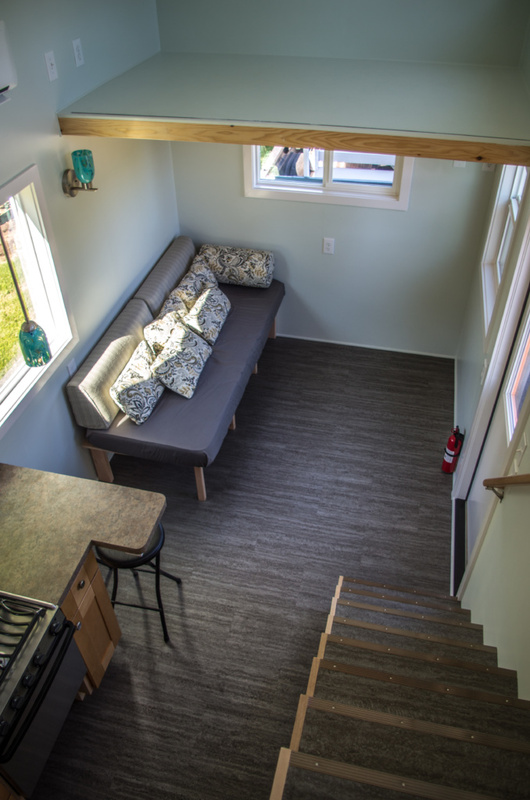 The 24-foot Alki feels spacious and airy, yet is a delightfully compact and moveable micro home. See why..
You can use electric or propane for appliances. 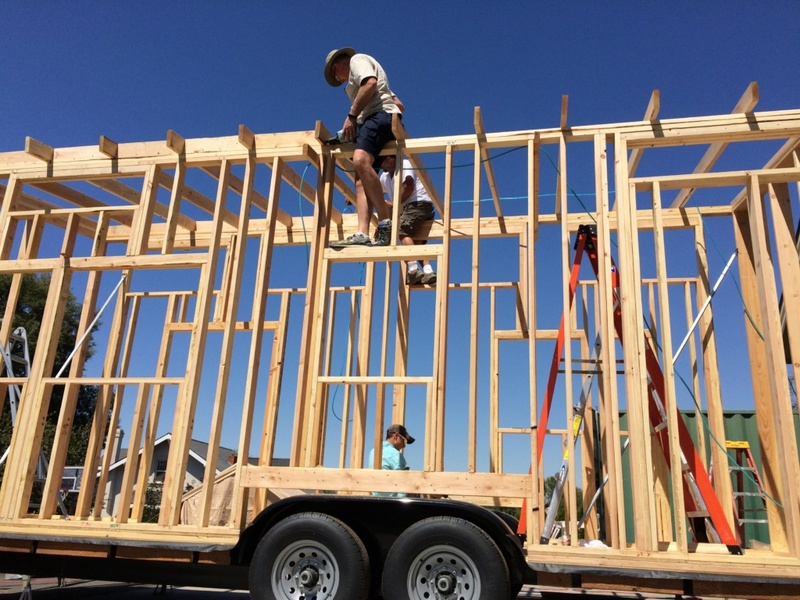 Using your own labor, you can build the Alki tiny house for as little as $28,000! Costs for materials will typically fall between $28,000 and $42,000, depending on your choice of appliances, insulation, interior/exterior finishes, and other options. 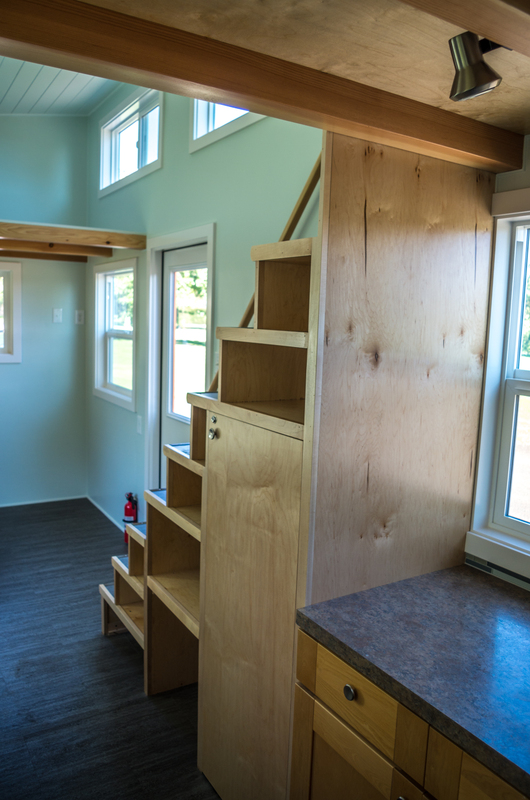 When built to the high standards outlined in our plans, this moveable micro home will provide a lifetime of satisfaction. 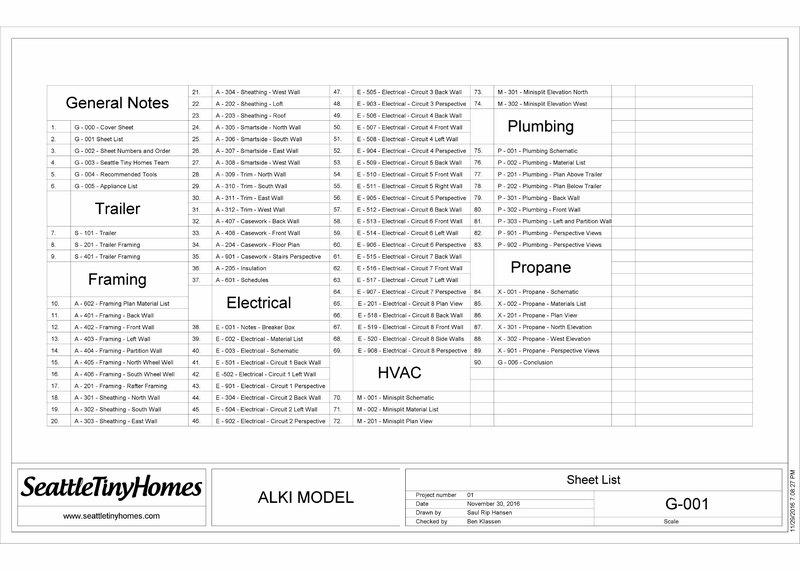 Materials lists, schematics, and diagrams for every major system: framing, electrical, plumbing, propane, and HVAC. You can choose to buy plans for all or just some of the systems, depending on your needs. Step-by-step guide on what to do next to save your time and minimize headaches (included with the Complete Plans and the Framing Plan). Details you won’t find anywhere else. 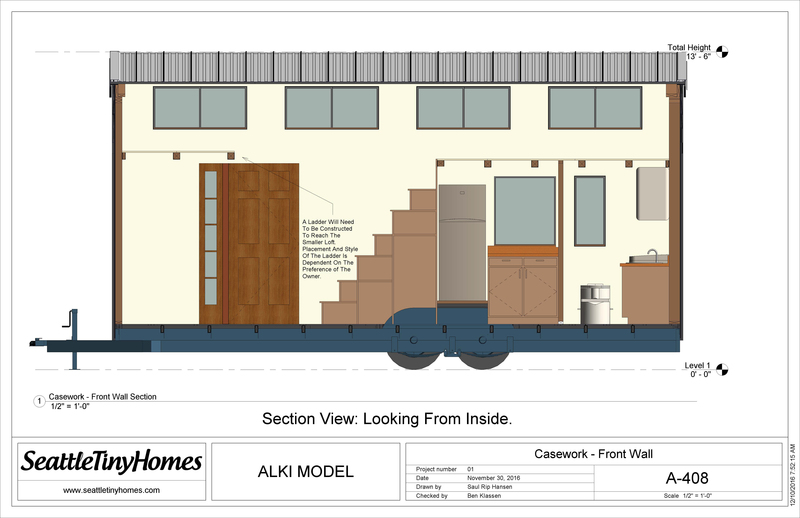 We believe these are the most detailed plans ever produced for the tiny house community. The use of Revit rather than SketchUp. We used Revit to create 3D models of structures to ensure that every view in every sheet of the plans coincides perfectly, without discrepancies or clashes. 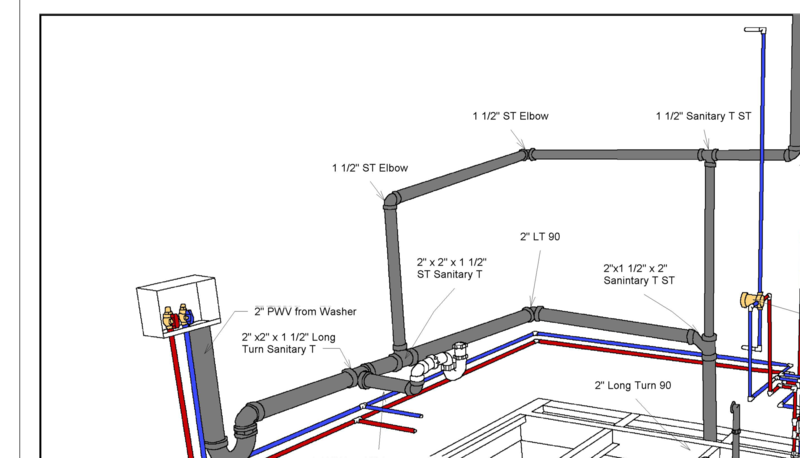 In contrast, SketchUp is not recognized by the construction industry for professional level plans. 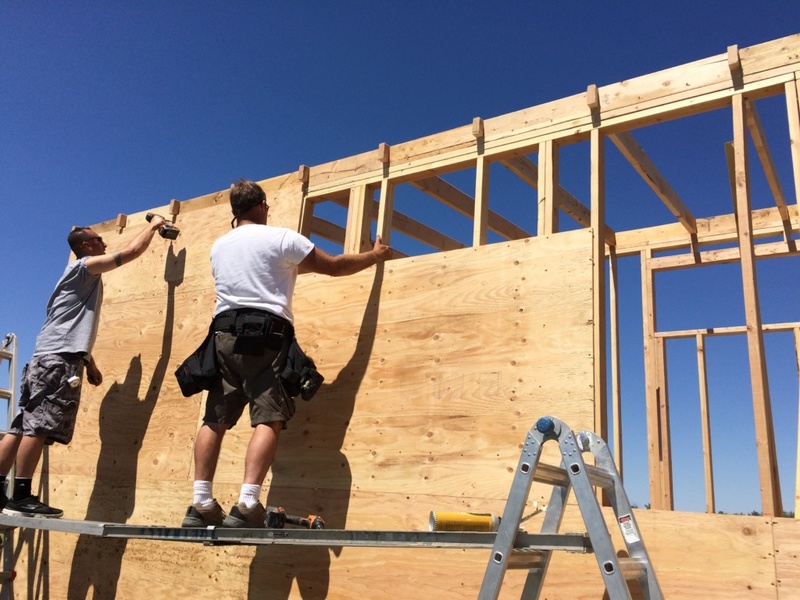 A wealth of construction tips from Seattle Tiny Homes’ professional builder team. 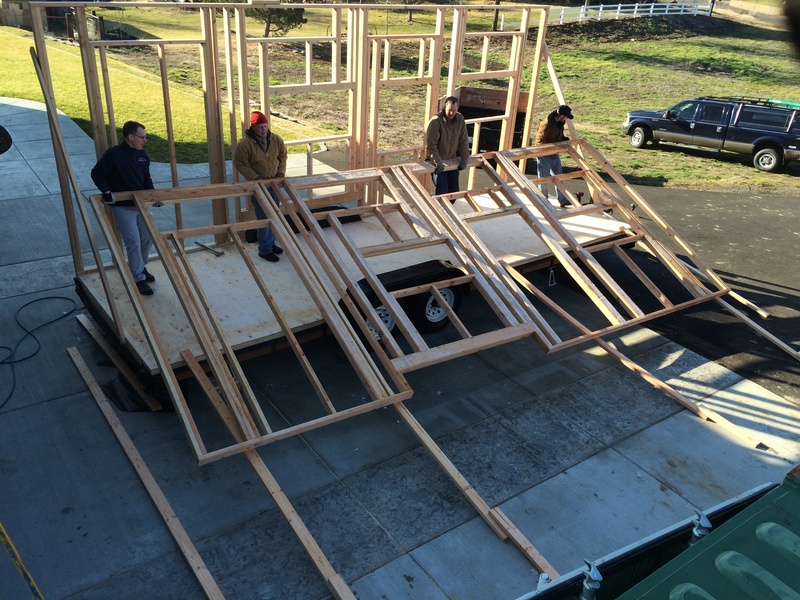 We’ve built the Alki multiple times and have worked out the kinks. You benefit from our knowledge! 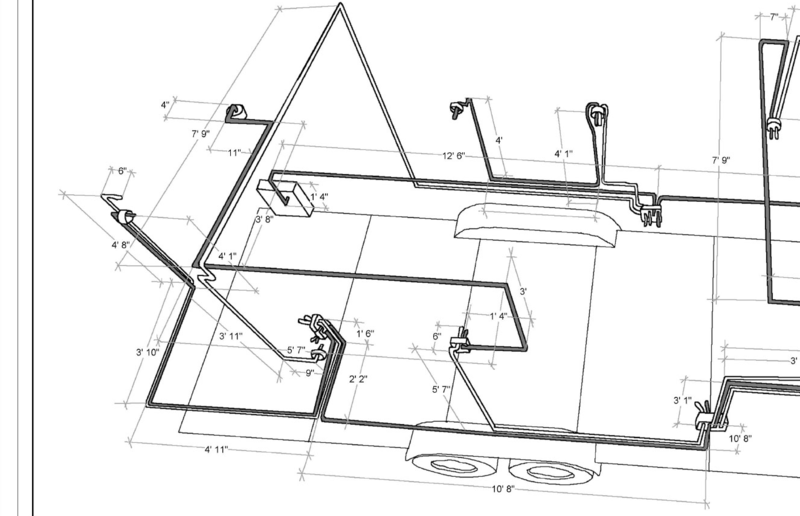 Need a trailer for your tiny home? 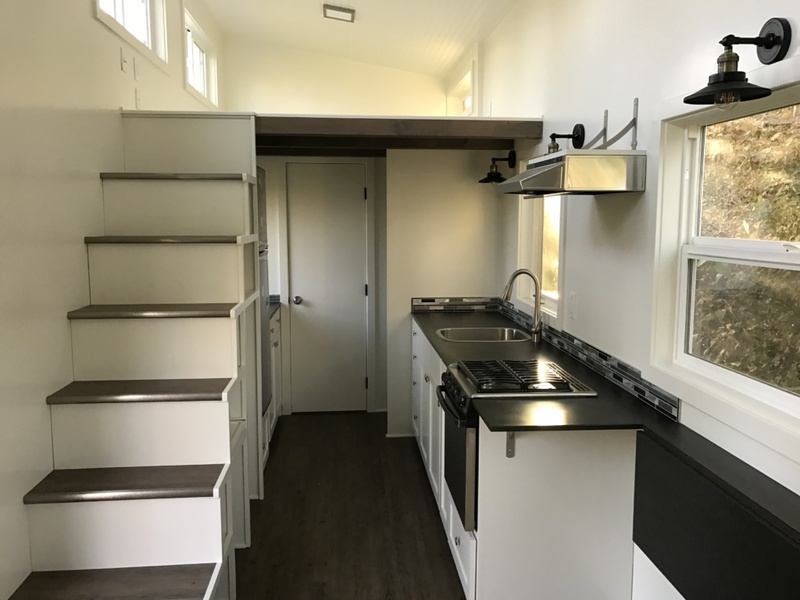 When you buy a complete set of plans, you also receive a $300 credit off the purchase price of a Seattle Tiny Homes trailer. 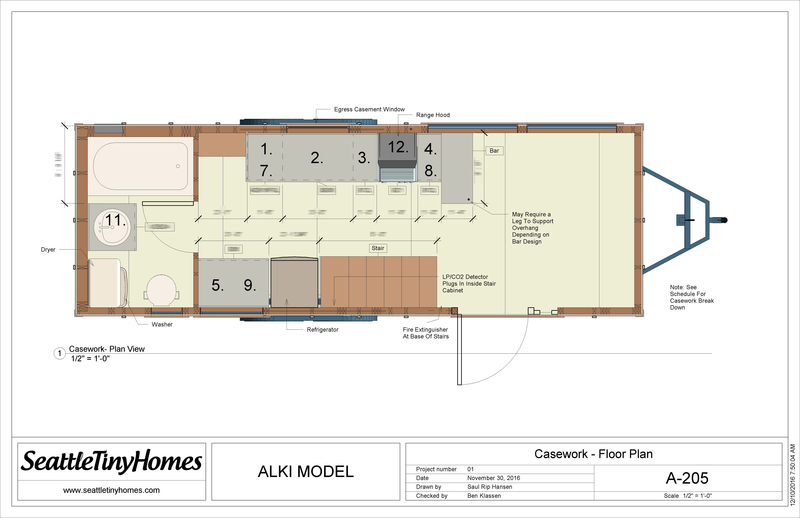 A license agreement to build a single Alki home. If you are a commercial builder and would like to build more than one home, please contact us for quantity discounts. Buy Plans Now at Special Launch Pricing!